Manila, Philippines - Today marks a major milestone for the Iglesia ni Cristo (INC) members as the world's largest domed arena, the Philippine Arena officially opened July 21, 2014. The opening of the arena is in time for the centennial celebration of INC on Sunday, July 27, 2014. Construction of the Philippine Arena creates buzz because of its interesting features. 1. Philippine Arena is part of Ciudad de Victoria (City of Victory) complex of the Iglesia ni Cristo that is estimated to be about 130 hectares. 2. 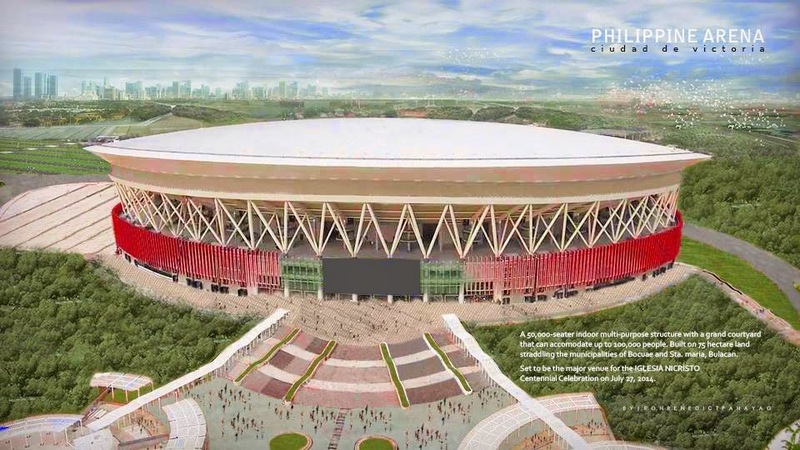 The complex will also house the Eraño Manalo Medical Center, the Bulacan campus of the New Era University, the Philippine Stadium, and the Philippine Sports Center. 3. The arena alone was built on a total lot area of 74,000 square meters, and has a total floor area of 99,000 square meters. 4. Construction of the arena began on August 17, 2011 and ended last May 30, 2014 or 30 months or more than two years to build the arena. 5. An approximate of 9 billion pesos was spent to build this "largest theater on earth". 6. Two Filipino construction workers died while building the arena. 7. The Philippine Arena has a seating capacity of up to 55,000. 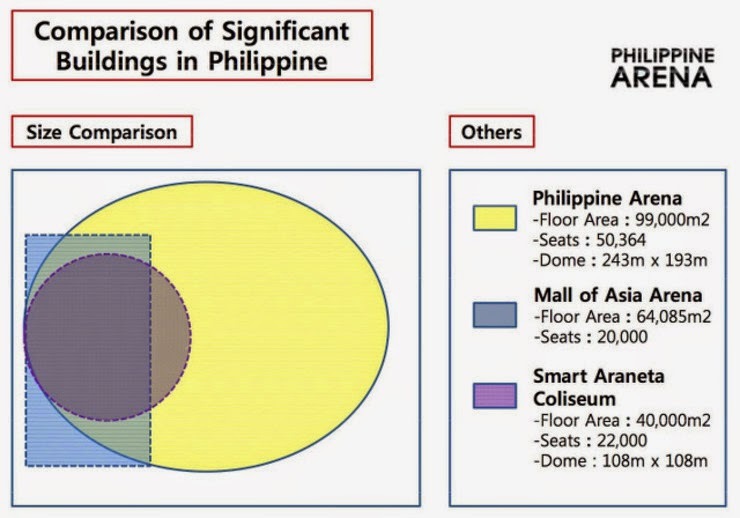 It is larger or more spacious than the Mall of Asia Arena in Pasay City, and the Smart Araneta Coliseum in Quezon City. 8. The entire structure is 200 feet, or around 15 stories high. 9. The seats in the Philippine Arena are divided in three colors based on the INC flag – green, white, and red. 10. Philippine Arena was built to be "quake-proof" as featured in the 2013 Discovery Channel documentary. 11. Construction of the Philippine Arena was recognized in 2013 by World Finance as the best sports project (medium cap project category) in Asia. 12. The Iglesia Ni Cristo believes, the Philippine Arena represents the fulfillment of God's promise.